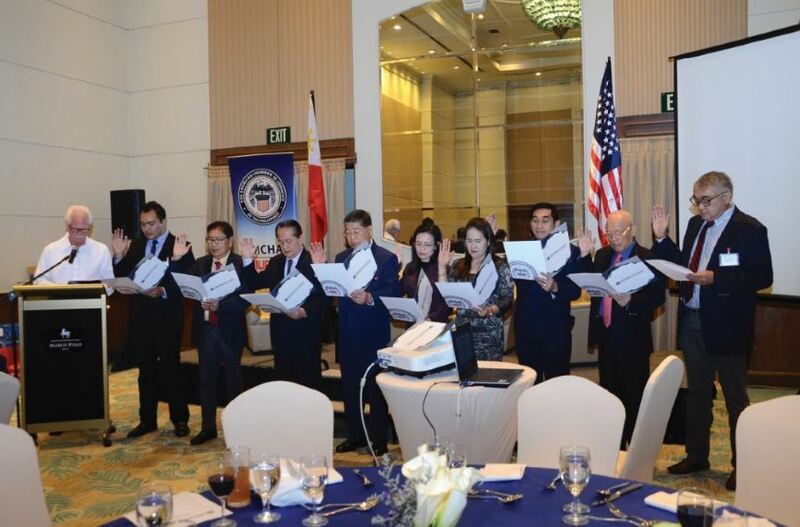 Through an induction ceremony on January 19, held at the Marco Polo Hotel Davao, the newly elected officers of the American Chamber (AmCham) of Commerce of the Philippines – Mindanao Chapter renewed their vows to serve Mindanao. Re-elected Atty. 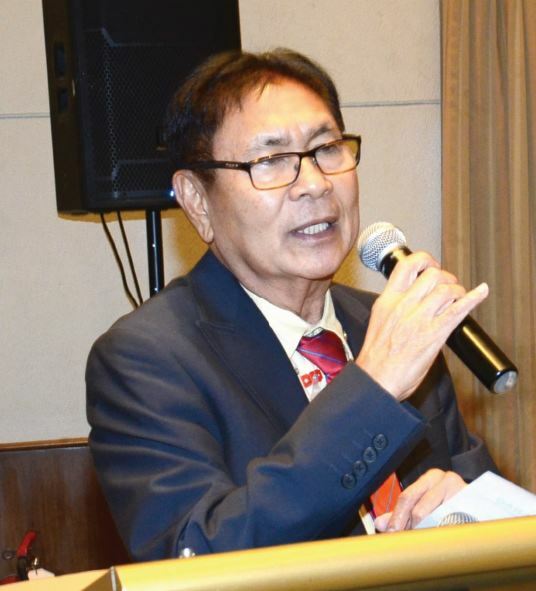 Leoncio P. Villa-Abrille says he accepts the challenge of president knowing he has the full backing of the Board of Governors in running the affairs of the chamber. The new set of officers are President- Leoncio P. Villa-Abrille; First Vice President- former Vice Mayor Luis C. Bonguyan; Second Vice President- Ferdinand Y. Maranon; Corporate Secretary- Myra M. Quilatan; Assistant Corporate Secretary- Benirando D. Claudio; Treasurer- Jocelyn B. Catampo; Assistant Treasurer- Steven Keith C. Awad; Public Relations Officer- Rossano C. Luga, and Directors: Ricardo F. Lagdameo, Joaquin Q. Tan, Guillermo P. Torres, Jr.
Inducting officer Ebb Hinchliffe, AmCham Executive Director, offered the following advice to the local chapter. 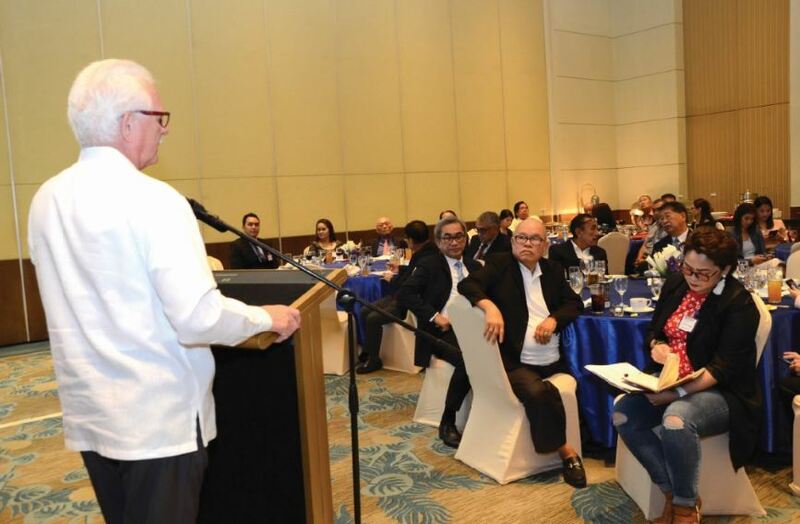 Hinchliffe further urged the members to create more jobs for Filipinos. He also challenges the group to expand its membership to Surigao and Zamboanga. The entire event was witnessed by the general assembly as well as important guests who were present to manifest their support. 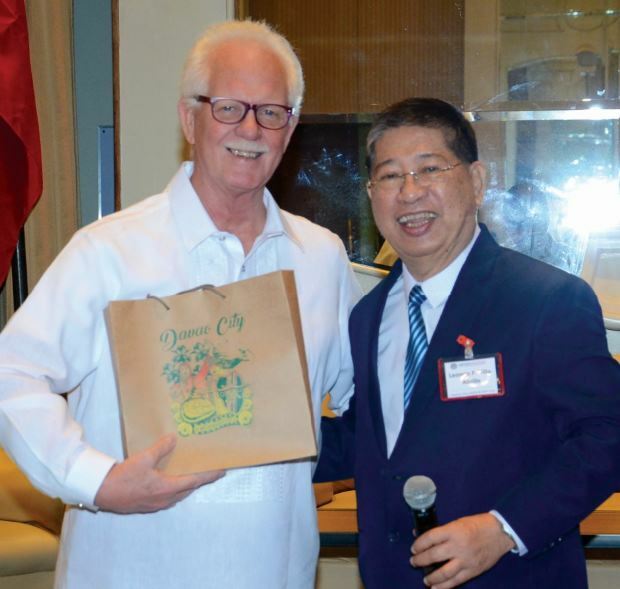 Among them were Consul General Li Lin of the People’s Republic of China, Arturo M. Milan, President of the Davao City Chamber of Commerce & Industry, Inc., Ichido Miyake, President of the Japanese Chamber of Commerce of Mindanao, Braulio A. Lim, President of Sta. 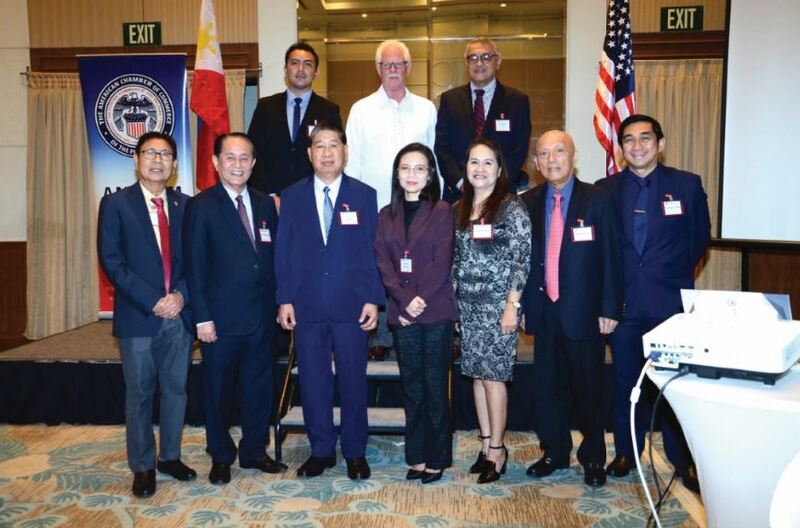 Cruz Chamber of Commerce, and former Mindanao AmCham Presidents Abudulah Aquino and Philip Dizon. The program was ably hosted by one of its members, Ms. Cherrylin Casuga, General Manager,Regus Davao.